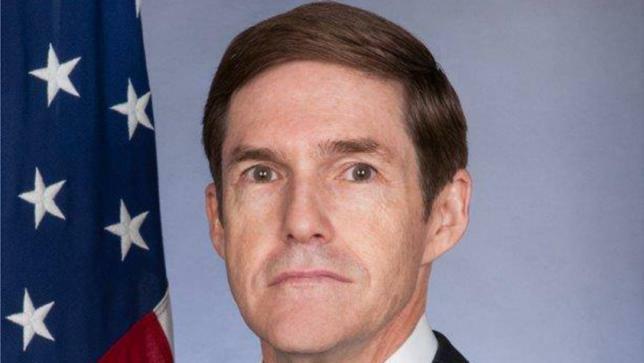 Lastnewsbd, 10th November, Dhaka: Ambassador-designate Miller, a career member of the Senior Foreign Service, served as the US ambassador to Botswana- a position he has held since 2014. Prior to his role as chief of mission (COM) in Botswana, he served as consul general in Johannesburg, South Africa (2011 – 2014), and Regional Security Officer (RSO) at embassies in New Delhi, India (2008-2011), Baghdad, Iraq (2007-2008), and Jakarta, Indonesia, (2004 – 2007). Ambassador Miller has served as senior regional security officer, Kuala Lumpur, Malaysia (2000-2003), assistant special agent in charge, Diplomatic Security Service (DSS), Boston Field Office, Boston, Massachusetts (1998-2000) and senior regional security officer, Gaborone, Botswana (1995-1998). He served in DSS headquarters in Washington (1994 – 95) and field offices in Miami (1990 – 93) and San Francisco (1987 – 88). He was assistant RSO in San Salvador, El Salvador (1988 – 90). He served as an officer in the US Marine Corps (1981-1984) and US Marine Corps Reserve (1985-1992). Miller earned a BA from the University of Michigan, Ann Arbor, Michigan in 1981 and graduated from the US Marine Corps Command and Staff College, Quantico, Virginia in 1994, according to the website of US Department of State. Newly appointed US Ambassador to Bangladesh Earl R Miller is scheduled to arrive in Dhaka on November 18 to begin his assignment in Bangladesh, says an official on Saturday. Upon arrival, he will present his credentials to President M Abdul Hamid. The US Senate, earlier, confirmed the appointment of Earl R Miller as the next US ambassador to Bangladesh as Ambassador Marcia Bernicat completed her tenure.